Improvements to Paisley’s built environment are continuing as work starts on the first buildings benefiting from the latest raft of heritage funding. Mr Allan Toti of A.D.T Properties who owns the ground floor shop units at 9 Gilmour Street, said: “There is such beautiful architecture in the town and by making funding available for improvements to the properties it gives people the opportunity to admire them more. “The grant funding is a great thing and I would encourage other shop owners to take advantage of it as it offers business benefits to them as well as improving the look of the buildings in the town. 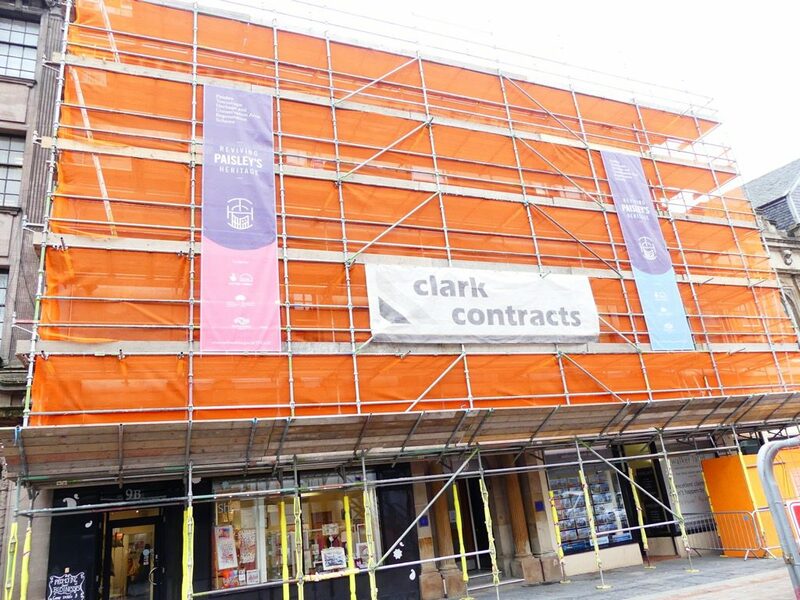 Ronnie McGinlay, Partner at Walker Laird said: “Our firm is keen to stay in the centre of Paisley and due to the cost of the major refurbishment works sought advice on grant funding from Renfrewshire Council. Leader of Renfrewshire Council, Cllr Iain Nicolson, said: “Paisley boasts an impressive built heritage which we want to protect and revitalise. By investing in our built environment we will encourage more visitors and businesses to the area which will in turn increase footfall on the High Street and reduce the number of vacant properties. For more information on the Council’s wider regeneration plans please visit: www.renfrewshire.gov.uk/paisley.